3 shatter-resistant polycarbonate interchangeable lens sets - Smoked ((Anti-Fog)), Clear Lenses and Amber. 2 removable foam frame inserts for the best comfort and protection against wind and fog. 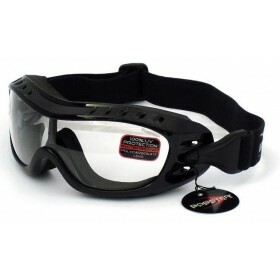 Includes an adjustable strap for multiple functions for this pair of eyewear, which can also be detached to be worn as sunglasses. 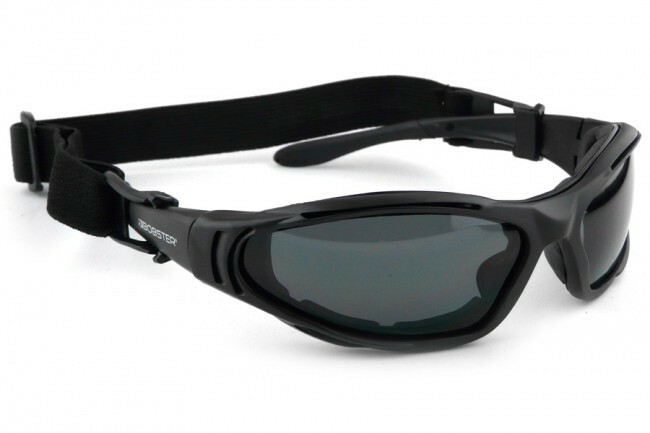 Stylishly aggressively sculpted frames made of Grilamid TR90 with a black matte finish. 3 sets of shatter resistant polycarbonate interchangeable lenses include; anti-fog smoked, amber and clear lenses, all lenses are 100% UVA and UVB protected. 2 sets of removable foam for that snug fit which also prevents wind and fog. The adjustable headband which can also be detached, gives the maximum amount of options for the multiple functions of this pair of eyewear. Also comes with Carry Case & Belt clip + Cleaning Cloth. Bobster have a lifetime warranty against manufacturing defects.